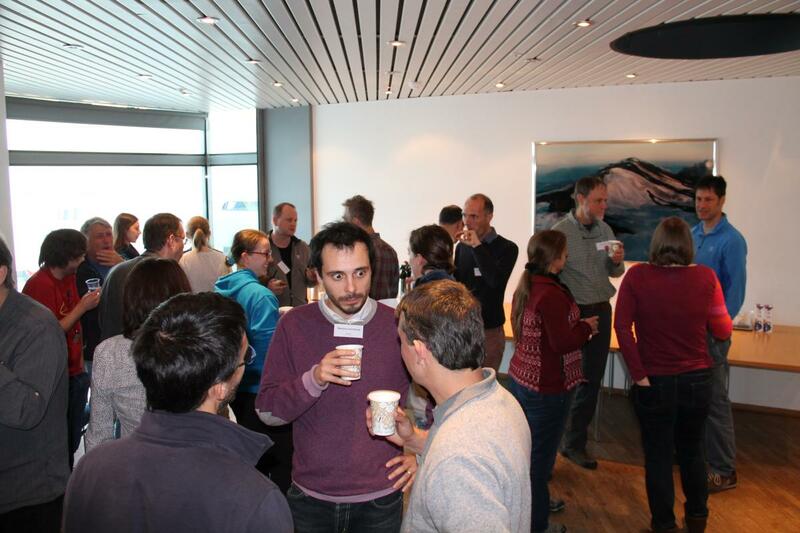 A three-day MeMoVolc workshop was hold in Reykjavík, Iceland, from the 3rd of May to the 5th of May 2016 on the topic of Mass Eruption Rates in explosive eruptions. A group of experts in the various measurement techniques as well as numerical and analogue plume models analysed the strengths and weaknesses of current MER estimation methods. The mass eruption rate (MER) is without doubt the most important single parameter in controlling the dynamics, hazard and impact of explosive eruptions. Column height, ash loading of the atmosphere, the likelihood of pyroclastic density currents, the magnitude of tephra fallout, both locally and distally, are all directly related to the MER. In recent years the ash loading of the atmosphere in eruptions has caused considerable disruption to aviation and effective prediction of ash dispersal and concentrations is critically dependent on the estimates of the MER. 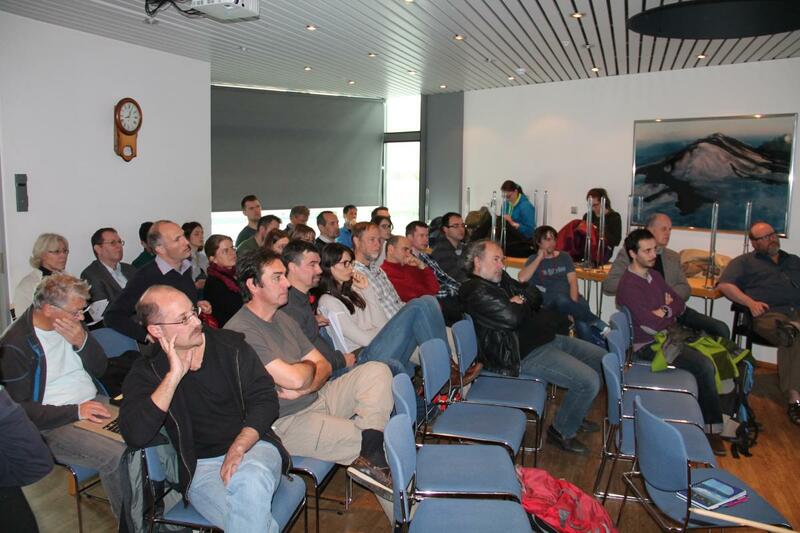 Workshops and conference sessions have taken place in the last few years concentrating on various aspects of explosive eruption dynamics and volcanic ash. To a significant extent the large scientific activity in this field is due to the eruption in Eyjafjallajökull in 2010, which caused major disruption to civil aviation in Europe, including grounding of commercial aircraft for several days. Since then new numerical models of plumes affected by wind have been presented. Moreover, considerable progress is being made in deriving the source parameters in explosive eruptions, including the MER using a variety of methods. This involves the analysis of infrasound, C- and X-band radars, video records in both the visible and the infrared range, electrical signals and through the analysis of satellite images. These developments have produced new tools. However, there is still considerable discrepancy in the values obtained by different methods. Some of the recently developed plume models (both integral and 3D) provide MER estimates that have a significant spread and differ from those obtained by other methods. External water (from sea, lakes or glacier ice) deserves more attention and its effects on plume dynamics and measurable parameters used to derive MER are poorly constrained. Estimates of atmospheric ash loading through infrared satellite retrievals have provided important new data on ash production but again, the values obtained, for e.g. 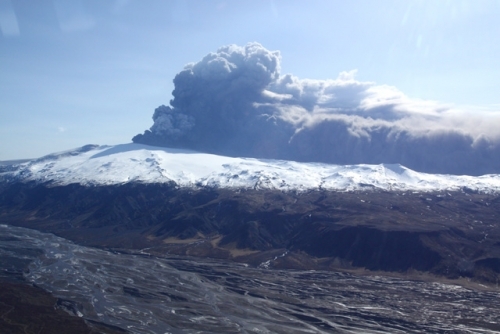 the Eyjafjallajökull eruption, are considerably lower than those obtained from ground mapping of fallout. Moreover, important parameters for determination of MER estimates, as well as the associated column heights, remain very poorly constrained. These include vent geometry and conditions; are vents in explosive eruptions circular in shape, as assumed in most modelling, or perhaps in some cases more shaped in the form of fissures? How important is the overpressure at the conduit exit in determining the air entrainment and the plume style? How important is the pulsating behaviour in affecting estimates of eruption rates? And how sensitive are models to assumptions on plume entrainment, turbulence and atmospheric layering? The workshop on methods of MER estimates brought together a multidisciplinary group of experts in the several methods currently in use. 1. Analysing the different existing methods, defining critical parameters and assess how well they are known at present, and what experimental results on various parameters can contribute to narrowing down the range of these parameters. 2. Defining measurement strategies, including combinations of currently existing methods that reduce errors in MER estimates. 3. Exploring ways of providing information on MER, as well as on the mass distribution along the volcanic column, in near real time, for operational purposes. The workshop venue was University of Iceland, in Reykjavík. The group of 43 people gathered for three days. 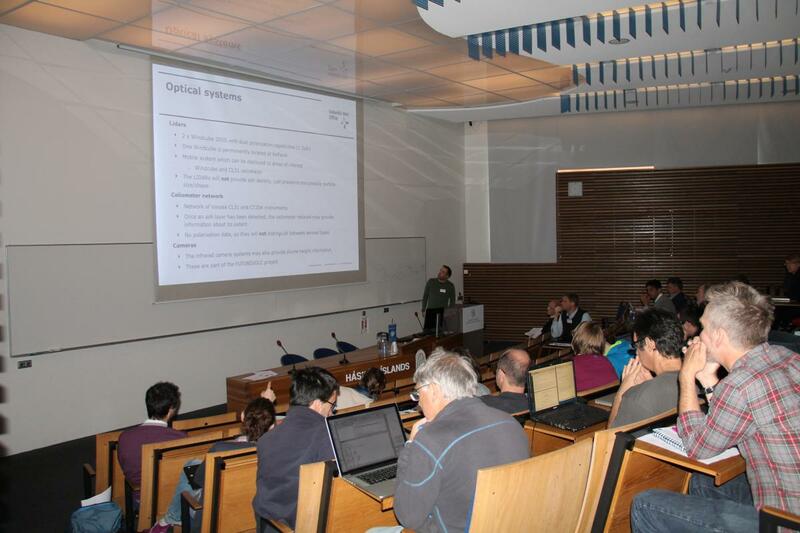 The format of the workshop was a combination of talks on selected topics, discussion sessions and posters where participants presented selected topics of their research on the workshop themes.